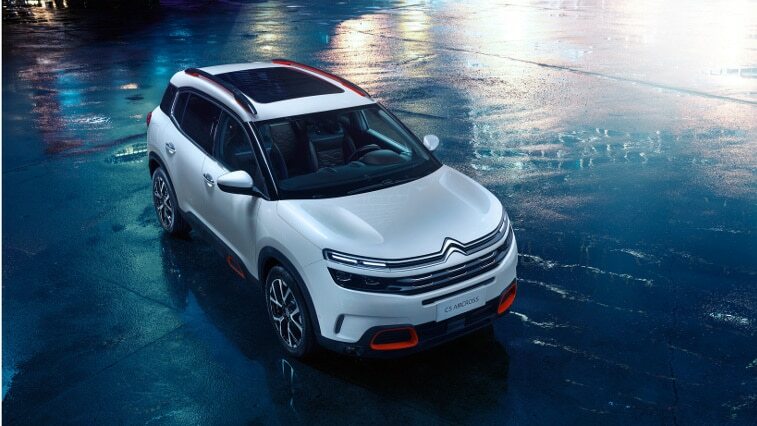 Citroën premieres a new-generation SUV at the 2017 Shanghai Motor Show: C5 Aircross. Inspired directly by the Aircross Concept that was unveiled in 2015, it combines assertive design with interior space for the well-being of everyone on-board. A ‘people-minded’ SUV, this new model benefits from the latest technologies that ensure easier driving and a modern approach to comfort. New C5 Aircross represents an important milestone in the development of the Citroën Advanced Comfort® programme. 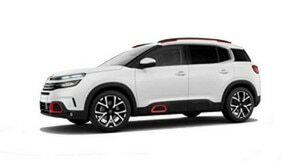 This is the world premiere of a revolutionary new suspension system with Progressive Hydraulic Cushions™, which delivers a uniquely smooth and comfortable ride that is typically Citroën. 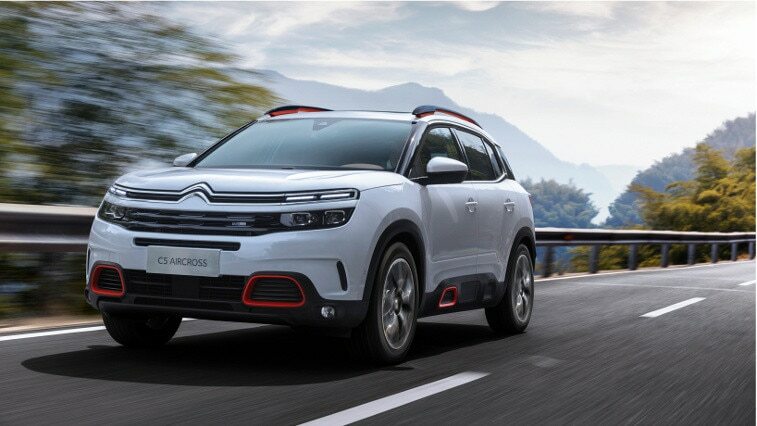 New C5 Aircross is scheduled to launch in China in the second half of this year and in Europe in 2018. "The New C5 Aircross is the symbol of a brand with strong momentum, in touch with the expectations of customers in regions all over the world. It is the first practical illustration of our offensive on the SUV market, illustrating our ability to approach it in our own way, with greater emphasis on character, comfort and on-board well-being. New C5 Aircross will clearly be a major growth driver for Citroën." The styling of New C5 Aircross is entirely in-line with the Aircross Concept that was presented at the Shanghai Motor Show in 2015. Among the SUV fundamentals, the protective panels on the lower body and wheel arches are enhanced with the graphic contours of the Airbump® inserts, which include a splash of colour to bring modernity and character to New C5 Aircross. The window line is highlighted by a C-shaped, chrome-finished signature for a very original side view. The four 3D LED oblong modules making up the rear lights on each side of the car are easily recognisable, striking and eye-catching, emphasising the width of the car. The range of exterior colours adds to the status of the car: there is timeless Pearl White, Perla Nera Black, Platinium Grey and – above all – Volcano Orange, which is a bold new shade close to the original colour of the Aircross Concept. Two bright and fashionable metallic touches are available to bring more personality and elegance to the car: in red or silver. These subtle touches contrast with the exterior bodywork by underlining the roof bars, adding refinement and elegance to the floating roof. These colours can also feature on the lower air intakes of the front bumper and the Airbump® sections on the front doors. 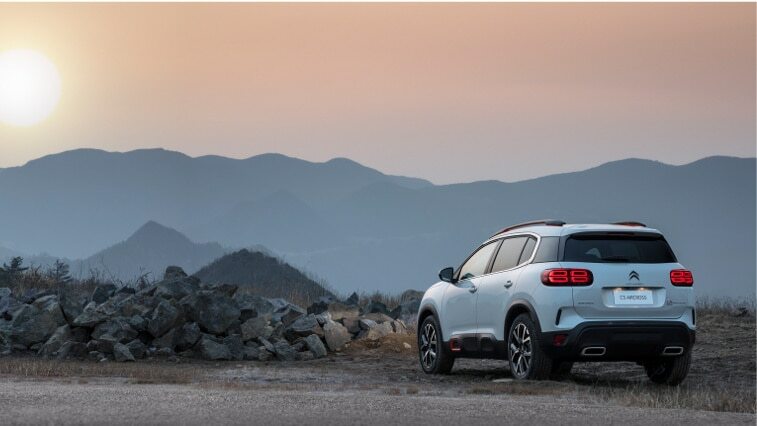 "Faithful to the Aircross Concept, unveiled two years ago in Shanghai, New C5 Aircross is Citroën's take on the SUV world. Featuring our clearly identifiable style markers, it is a powerful, modern vehicle whose unique stance sets it apart in the SUV market." 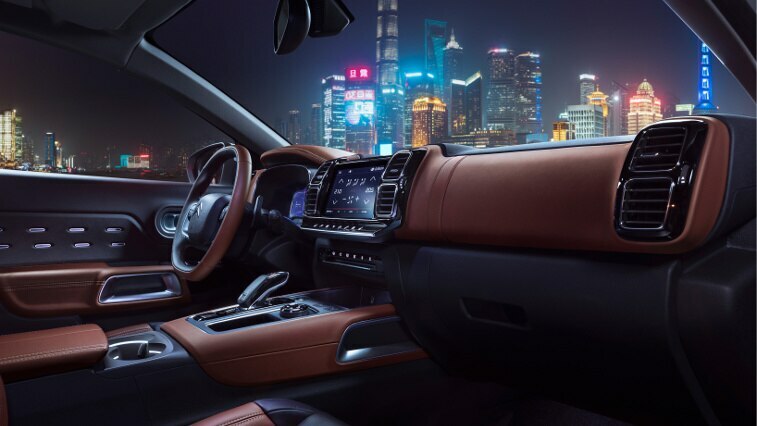 The cabin of New C5 Aircross conveys a strong suggestion of comfort as soon as you open the doors. The high driving position and the stylish, welcoming interior are totally coherent with the exterior styling. On the driver's side, there is a 12.3-inch digital display cluster. 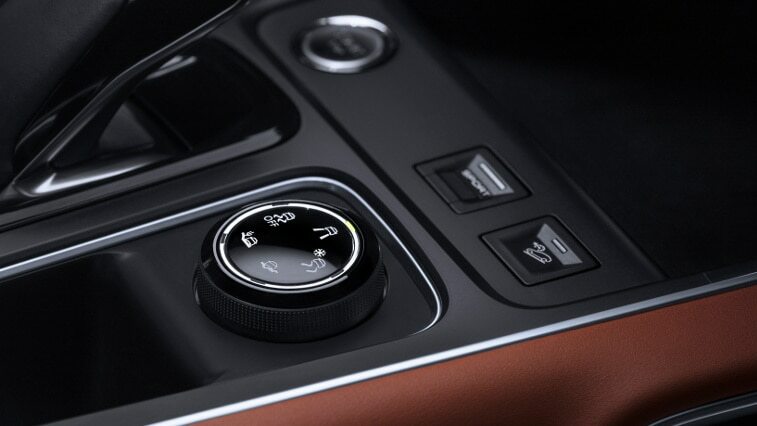 In the centre, the air vents and the 8-inch HD touchscreen form a perfectly integrated unit. The tall, wide centre console features soft materials and generous storage. There is also a wide central armrest with an array of practical storage compartments. The cabin is bathed in light, thanks to the generous panoramic sunroof and glass right around the car. New C5 Aircross is available with a wide choice of materials, from 3D woven mesh to Nappa leather, personalising the interior ambience to suit the customer's wishes, from casual to executive.The opulent, generous interior of New C5 Aircross was designed for a simple, relaxed driving experience, reassuring occupants through its rational layout, intelligent design and quality of build. A perfect alliance between comfort and technology, New C5 Aircross is leading the Citroën Advanced Comfort® programme. New C5 Aircross premieres Citroën's new suspension with Progressive Hydraulic Cushions™. The ability to develop comfortable suspension systems has been part of the brand's DNA for almost 100 years. 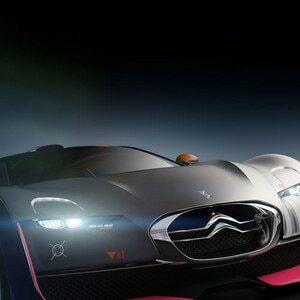 Twenty patents have been filed as part of the development of this new suspension system. Whereas a conventional suspension system is made up of dampers, springs and mechanical bump-stops, the new Citroën system adds two hydraulic stops to each suspension unit – one for rebound and one for compression. New C5 Aircross offers a cabin air quality function. The Air Quality System (AQS) is integrated into the automatic air conditioning system and features an active carbon filter to trap external particles as small as 2.5µm. • Speed Sign Recognition and Recommendation: recognises speed limits and displays this information on the instrument cluster. This speed limit can be entered easily as a setting for the cruise control/speed limiter function. • Automatic Dimming Headlights: a function that automatically switches from high beam to low beam, and vice versa. • Active Safety Brake: prevents collisions thanks to a camera at the top of the windscreen and a 24GHz sensor in the front bumper, which identify and analyse obstacles. The system slows the vehicle automatically if a potential collision is identified. • Adaptive Cruise Control with Stop Function: senses the car in front, using a sensor in the front bumper, and automatically maintains the vehicle at the safe distance pre-selected by the driver. The system will bring the car to a stop if necessary. The driver can select a speed and enter settings for the distance between vehicles, as well as limiting acceleration when cornering. • Active Lane Departure Warning System: using a camera at the top of the windscreen that identifies road markings, the system corrects the vehicle’s course by warning the driver as soon as it senses that the vehicle is about to change lanes without using the indicator. If the driver wishes to maintain the course of their vehicle, they can override the system by keeping a firm grip on the steering wheel. • Active Blind Spot Monitoring System: warns the driver when a vehicle is present in the blind spot using indicators in the door mirrors. If the active lane departure function is switched on and the driver starts to change lanes without using the indicator, torque is applied to the steering wheel to dissuade the driver and prevent a collision. • Vision 360: provides an aerial view of the area around the vehicle using 180° cameras at the rear and front of the vehicle.